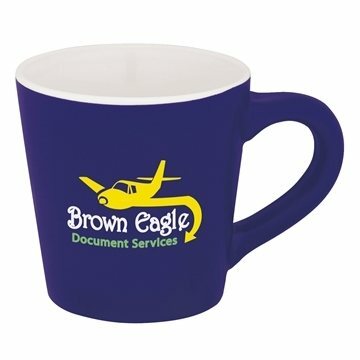 Regular or decaf will taste great in this 13 ounce mug. Coffeehouse styling features an ergonomically designed handle. 13 oz. capacity when filled to the rim. Looks like we will be ordering more. They look great!!! Good quality, keeps color well and the imprint stays on and looks good for a long time. thanks for the great experience. They worked great and were cute. In the end I do have a product that I am happy with. Awesome text! Our logo design - title came out very nice. The merchandise arrived on the scene great, much better than I was expecting.